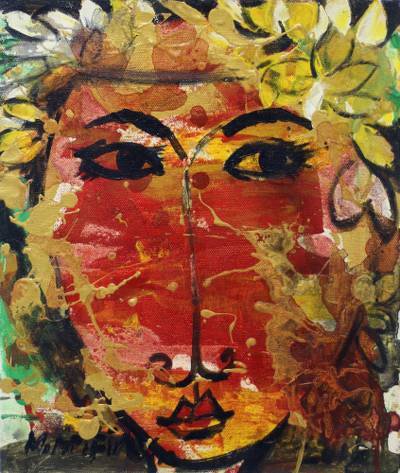 Signed Expressionist Painting of a Fairy Woman from Bali, "Fairy"
Balinese artist Mohammad Arifin conjures the image of a fairy, bringing peace and goodness wherever she goes. He paints in the expressionist style to capture the fantastic nature of his subject. The artist draws with simple lines, adding colors of red and green to reflect the fairy's wildness.